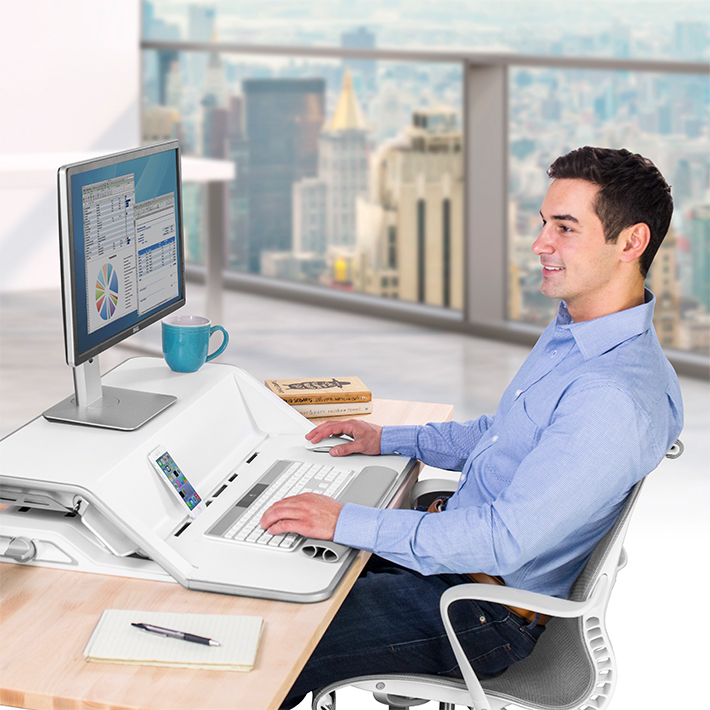 Work Better, Feel Better, Effortlessly. 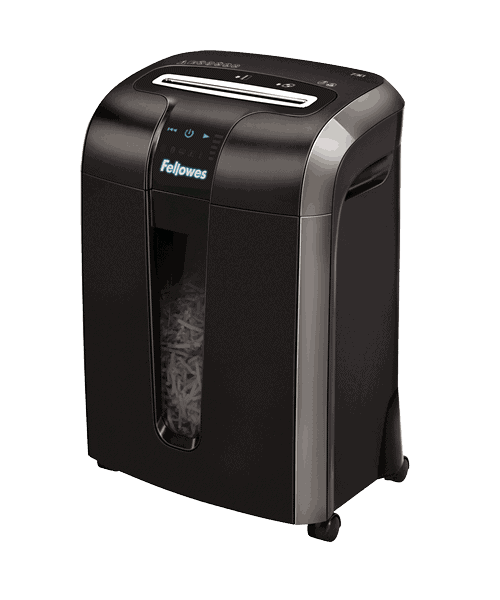 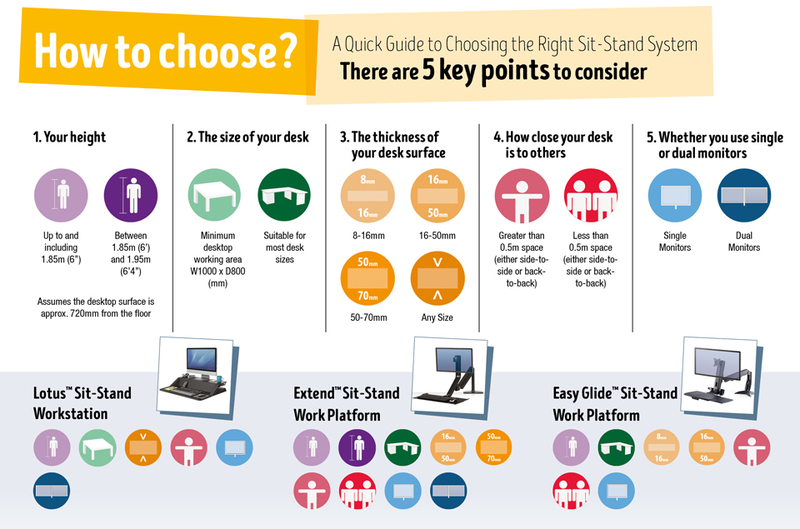 Fellowes® Sit-Stand Solutions combine a wealth of research and product development with our deep understanding of the office workspace to combat the negative effects of prolonged sitting. 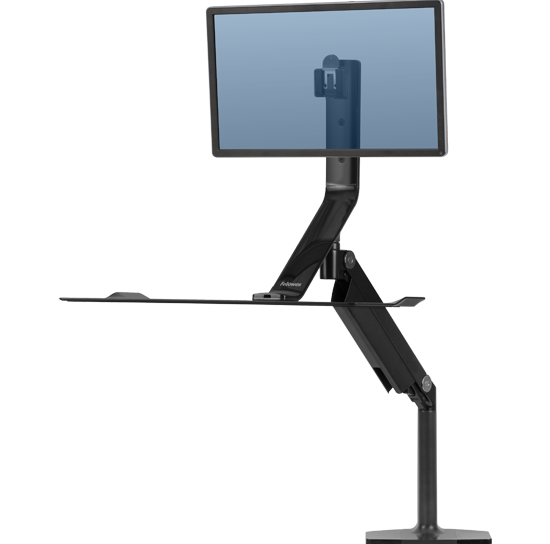 Our Sit-Stand Solutions offer a premium experience with innovative engineering and a modern design to ensure an effortless transition from sitting to standing and back. 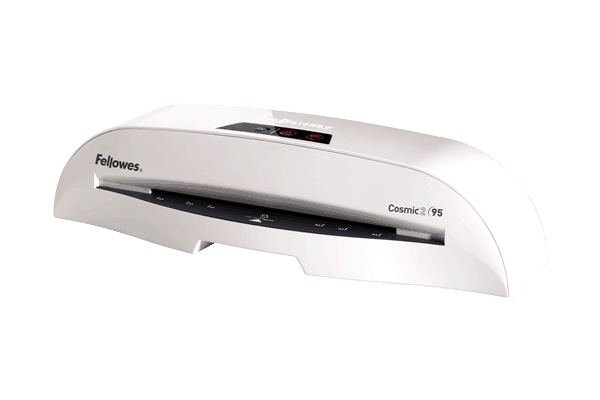 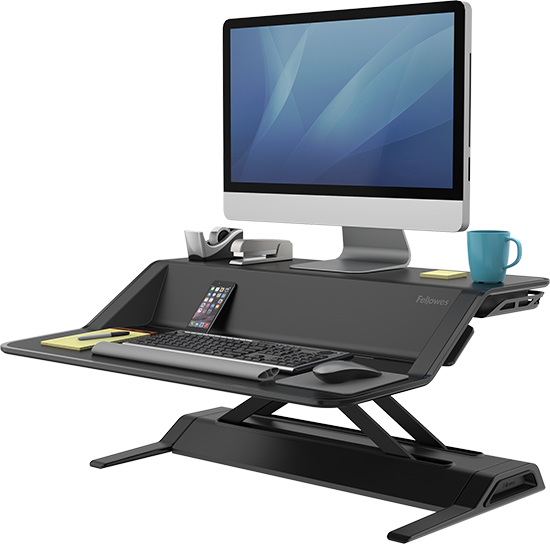 The Fellowes Lotus™ Sit-Stand Workstation is the perfect solution to prolonged sitting in the office. 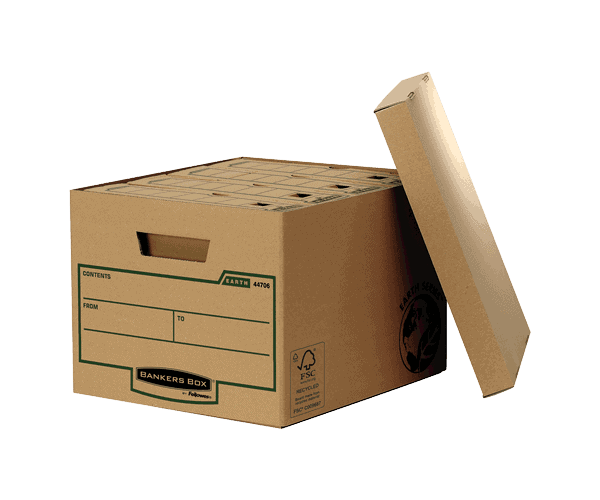 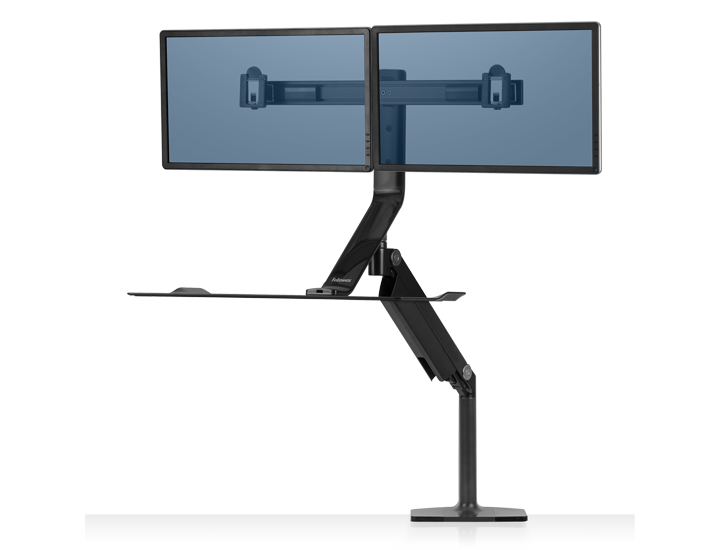 With a design so seamless and integrated, the Lotus™ will naturally become your new desktop. 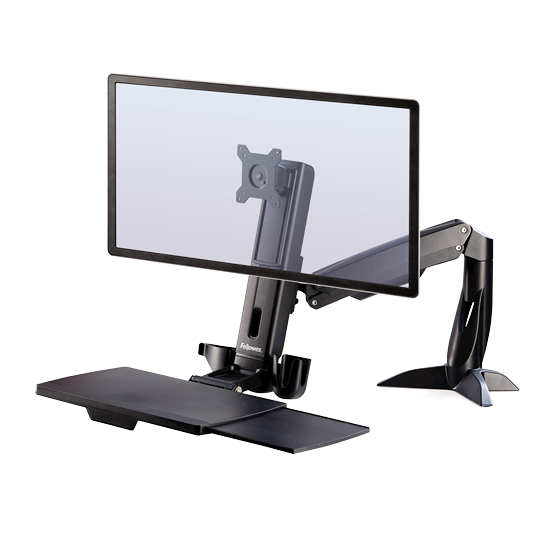 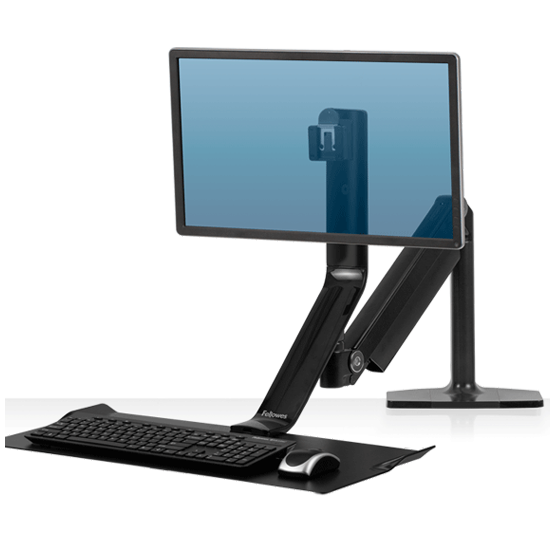 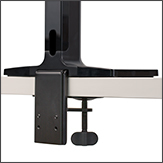 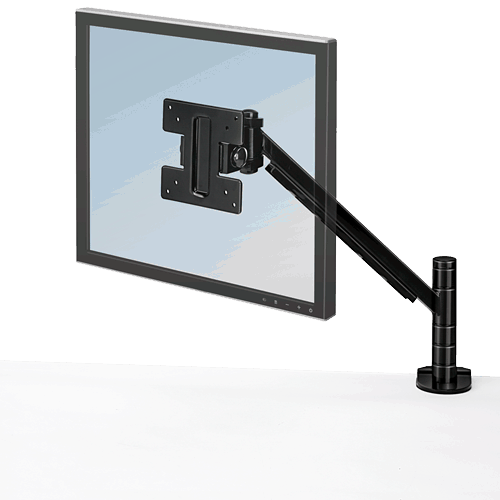 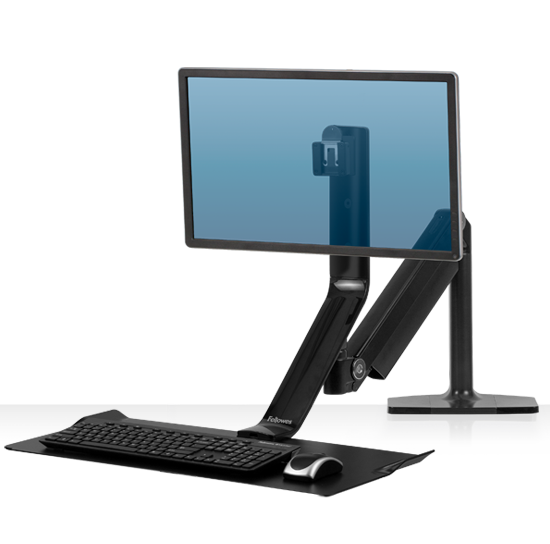 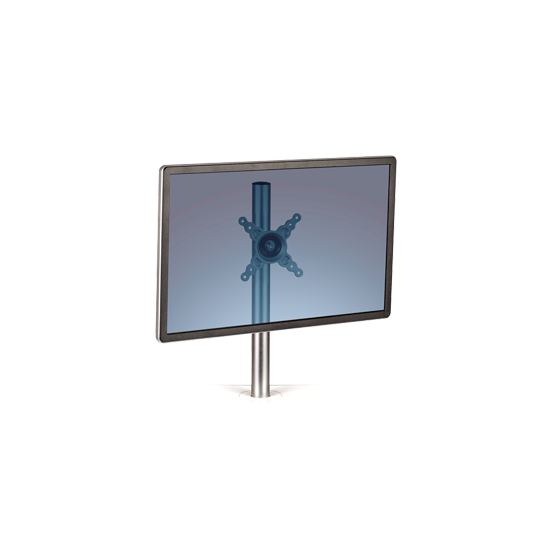 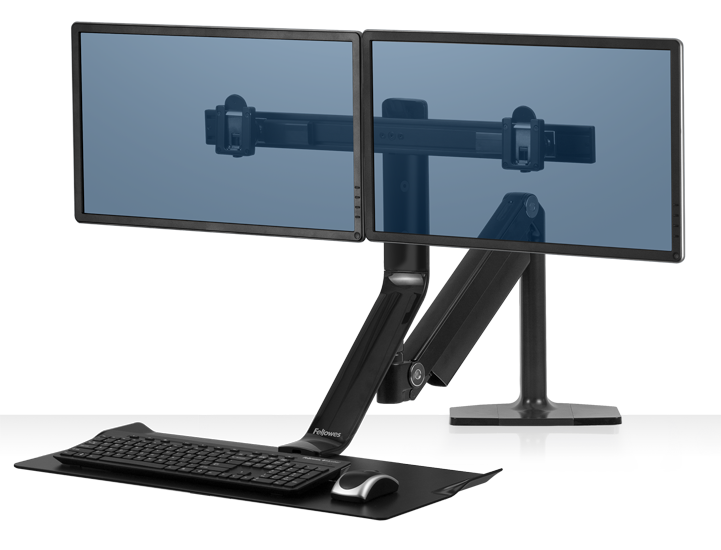 The Monitor Arm Kit supports single and dual monitors for the Fellowes Lotus™ Sit-Stand Workstation. 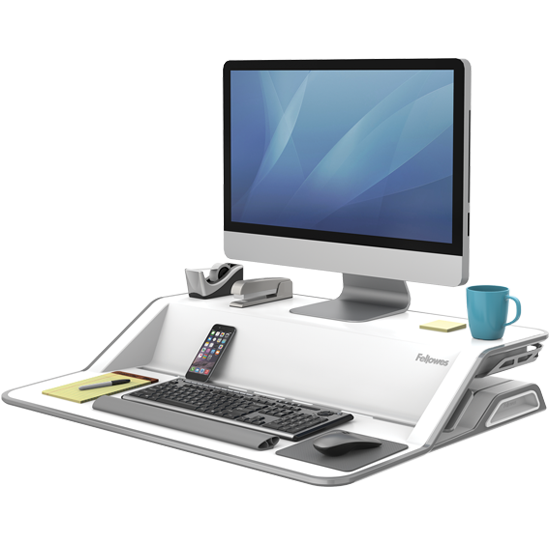 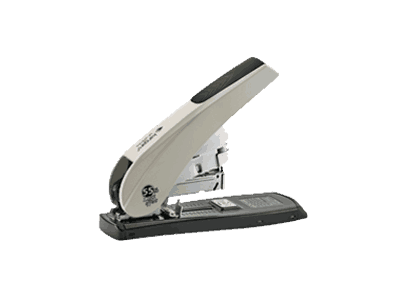 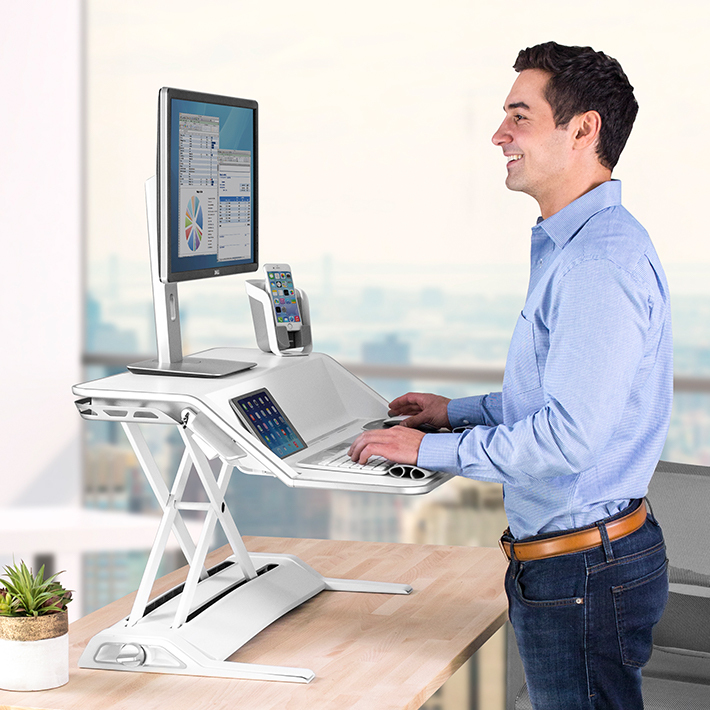 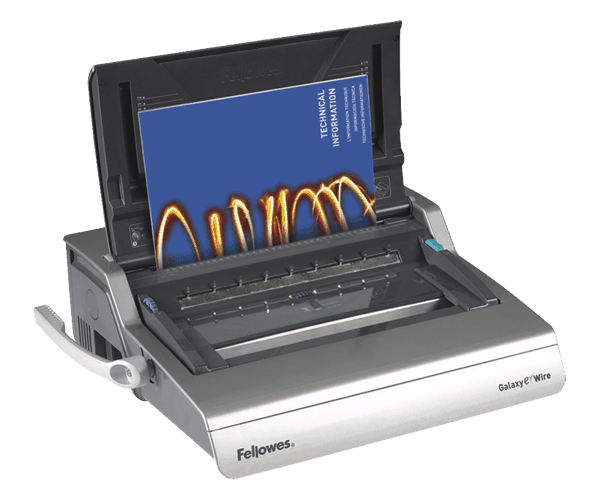 Transform any desk into an active one with the new Fellowes Extend™ Sit-Stand Work Platform. 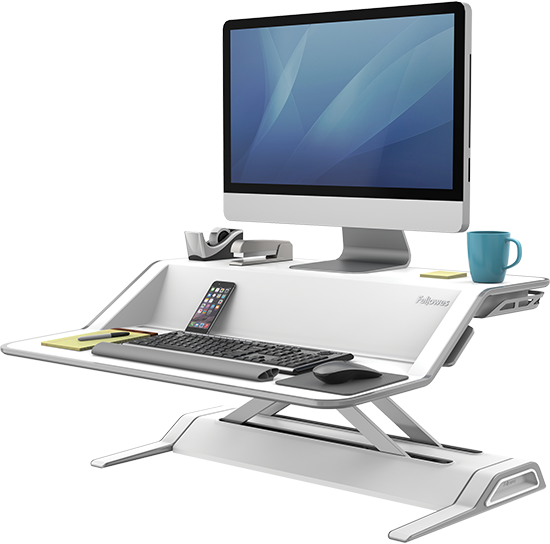 adjustable clamp to fit desk depths 5/8" - 2 3/4"
Smart design Sit-Stand Work Platform with foldable keyboard tray and accessories holders. 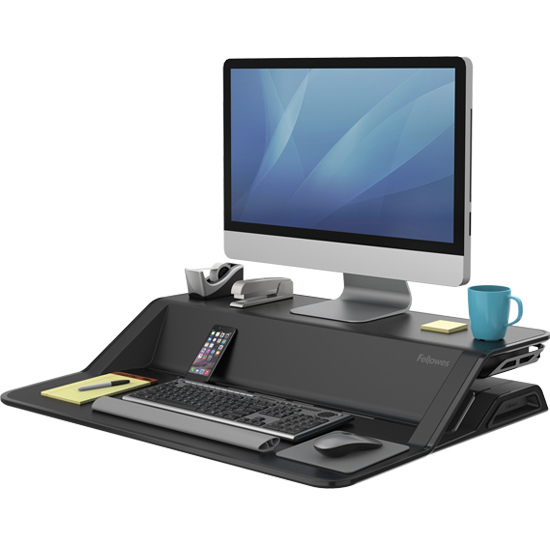 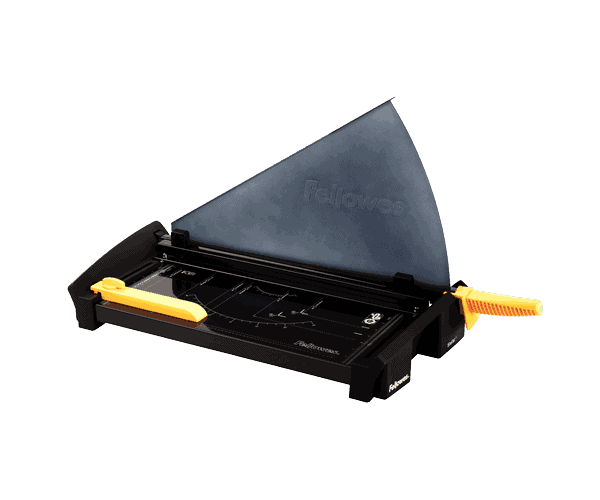 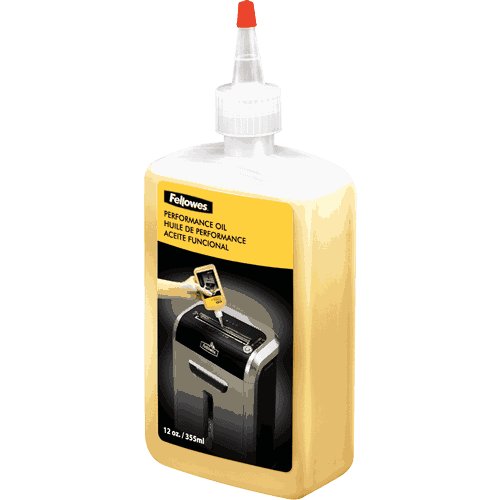 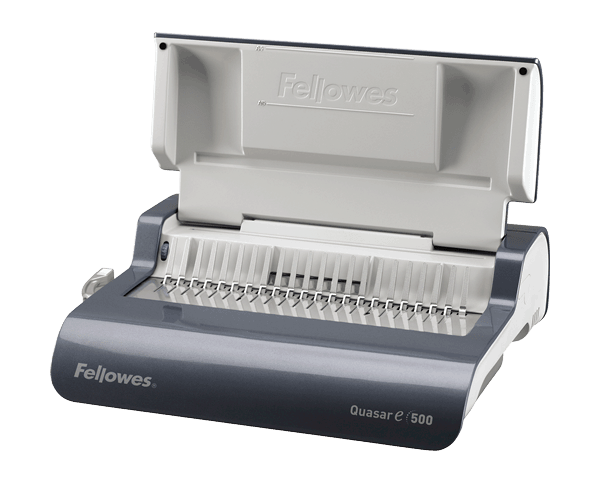 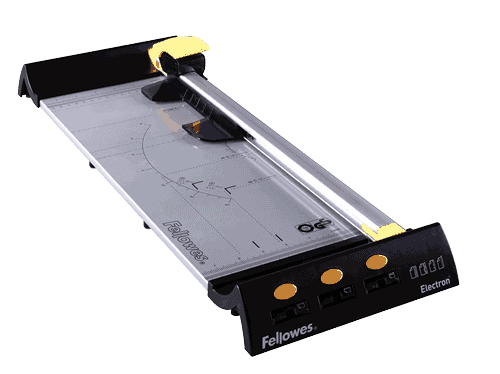 Find out how quickly Fellowes® Sit-Stand Workstations / Work Platforms pay for themselves with our Return on Investment Calculator. 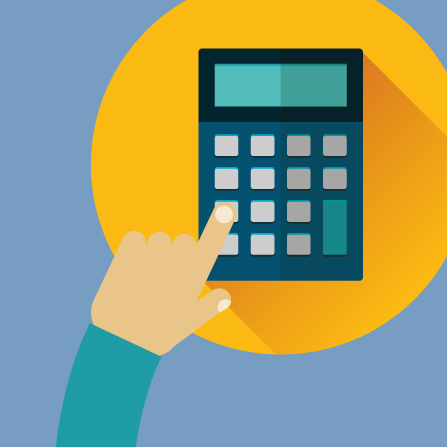 Simply fill in some basic details on your organisation and then click for for an instant calculation on the number of days it could take for it to pay you back!